Samsung new Two-door Refrigerator, a home appliance that delivers unparalleled performance, consistent with the brand’s vision of offering greater flexibility through superior organisation and convenience for today’s busy family. 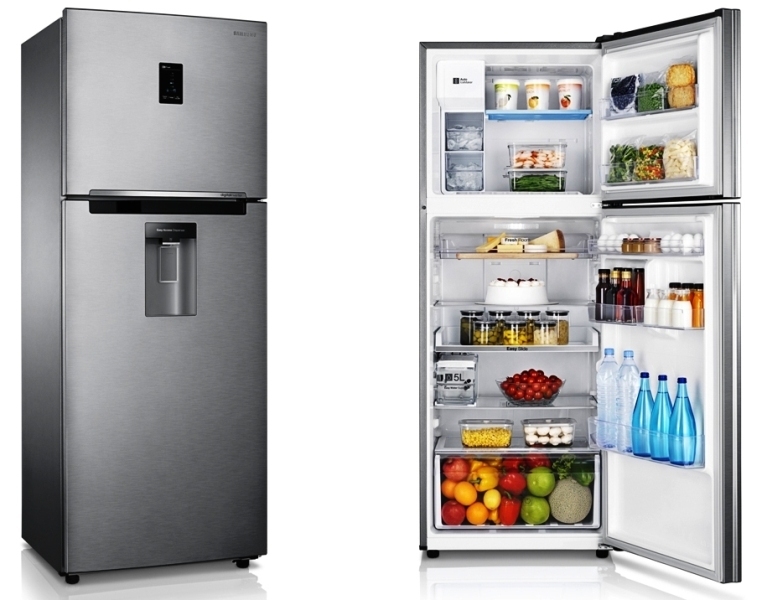 The key feature of the refrigerator lies in its Digital Inverter Compressor, which comes with a 10-year warranty. It delivers exceptional cooling performance by improving energy efficiency, minimising wear and producing less noise, as it operates only when needed. Its extended warranty, which is a first for the segment, offers consumers ease-of-mind, as a way to empower families to get more out of their appliances with a core household appliance that runs efficiently. The Digital Inverter Compressor works by rapidly reacting across five speeds of revolution per minute (RPM) upon sensing temperature changes. The compressor either increases its fan speed to provide blasts of cold air or slows down to reduce unnecessary energy consumption. This ensures that the Samsung Two-door Refrigerator continues to provide consistent cooling, so that foods stay fresher for a longer period of time. The Samsung Two-door Refrigerator comes with unique features that ensure optimal freshness and cooling for food storage, including MoistFresh Zone. It helps to control air circulation to maintain optimal humidity, thus creating an ideal environment to store and keep vegetables and fruit fresh for a long time. Meanwhile, the Cool Pack Option keeps the freezer cool for eight hours in case of a power outage to prevent food items such as ice-cream from defrosting. Equipped with several category-first features, the Samsung Two-door Refrigerator offers convenient storage options and space efficiency. Among these innovations are the Easy Slide Shelf, which provides effortless storage and removal of food, with a wider and deeper door shelf for larger and various sized bottles, and a detachable Multi Storage Basket for items like cosmetics, medicines or special sauces. Additionally, whether it is an intimate get-together or a large party, the Ice Max features two ice boxes (one removable) to eliminate the need to make a store visit when ice cubes are needed. A high-efficiency LED light illuminates the interior more brightly than conventional models to enable users to easily locate their food, every time. Locating the ice and water dispenser is now easier with the Easy Access Dispenser, which comes at waist-level to eliminate the need to bend over when utilising the dispenser. Last but not least, a modern style Easy Handle is recessed for streamlined design, exemplifying Samsung’s commitment to deliver the most convenient, yet premium digital appliances that is unrivalled in terms of style and elegance.